The development of the Cavite-Batangas Expressway is envisioned to start by the first quarter of 2019, according to the Department of Public Works and Highways (DPWH). MANILA, Philippines – The Luzon Spine Expressway Network is Duterte administration’s answer to help decongest the traffic in Metro Manila and busiest parts of Luzon. The Southeast Metro Manila Expressway (C6) Project is a a toll road project with approximately 32.664 kilometers that is intended to run from Skyway/FTI in Taguig City to Batasan Complex in Quezon City. Conglomerate San Miguel Corp. (SMC) is starting work on an expressway project that is seen to cut travel time between Taguig City and the Batasan Complex in Quezon City to only 35 minutes. The Manila Metro Rail Transit System Line 7 (MRT-7) is an under-construction rapid transit line in the Philippines. When completed, the line will be 22.8 kilometers long serviced by 14 stations. The line runs in a southwest direction, beginning at San Jose del Monte, Bulacan up to the under-construction Unified Grand Central Station located in North Avenue, Quezon City. 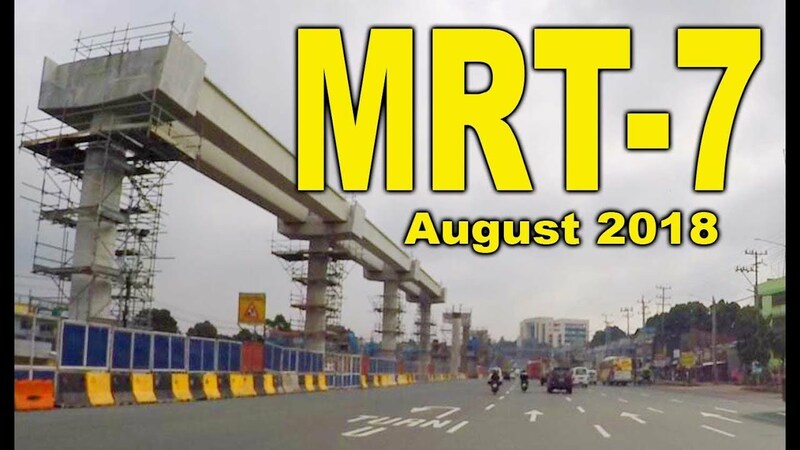 MRT Line 7 will traverse Quezon City and Caloocan in Metro Manila, and is envisioned to spur business and commerce at its inter-modal terminal station in San Jose del Monte, Bulacan.